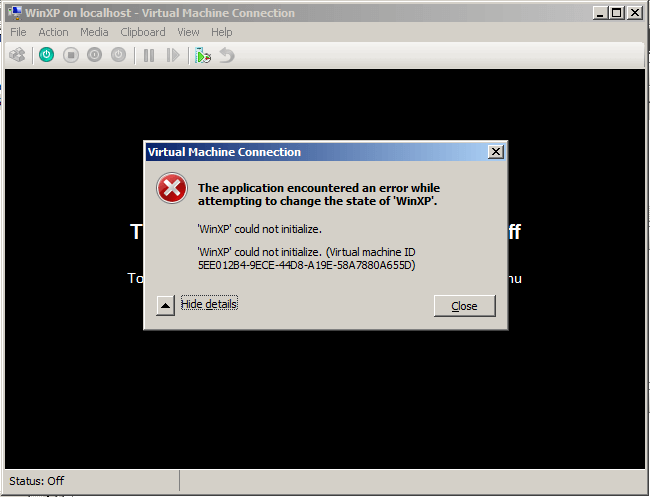 Installing Hyper V in VMware Workstation 8 was tricky. With the release of VMware Workstation 9, VMware has added Hyper V in guest operating system list. VMware Workstation 9 now allows you to run Windows 8 with Hyper V enabled. Similarly, the workstation allows you to install Windows Hyper V Server as virtual machine. 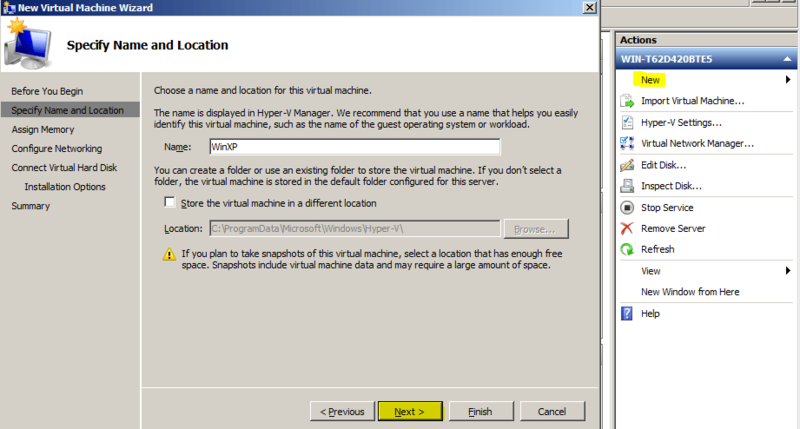 Today I will show you steps in installing Hyper V in VMware Workstation 9. The way of creating and installing virtual machines in VMware Workstation 9 is similar as previous version i.e. Workstation 8. So let’s get started. Open VMware Workstation 9. Click File on the Menu bar and select New Virtual Machine. Choose Custom option and click Next button. 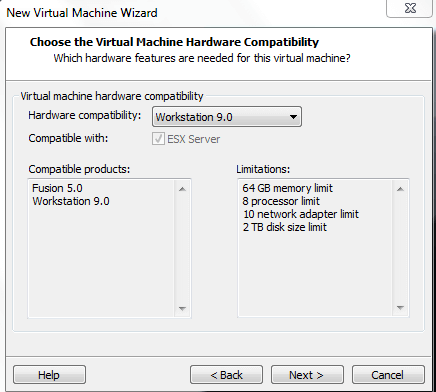 Choose hardware compatibility as workstation 9 from the drop down menu and click Next button. 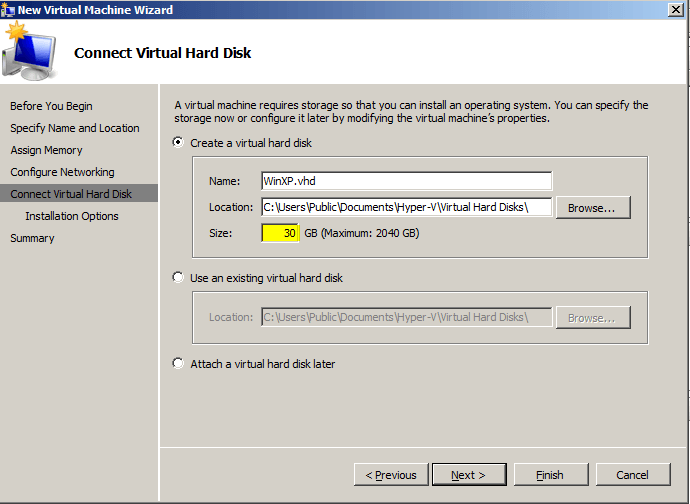 Now select Hyper-V from the list and click Next button. 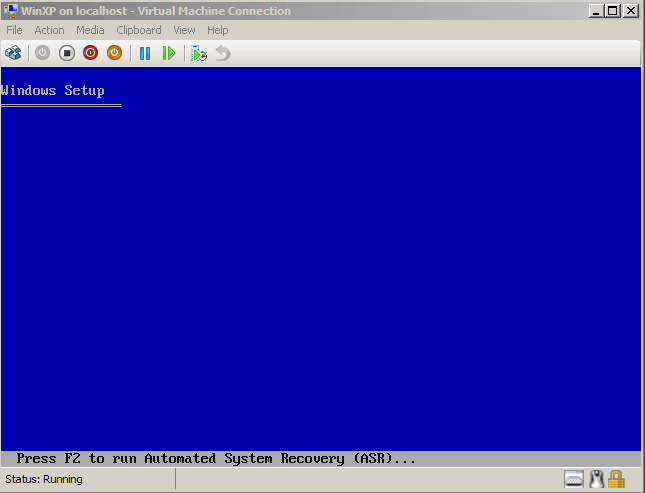 Type the name of the virtual machine and click Next button. 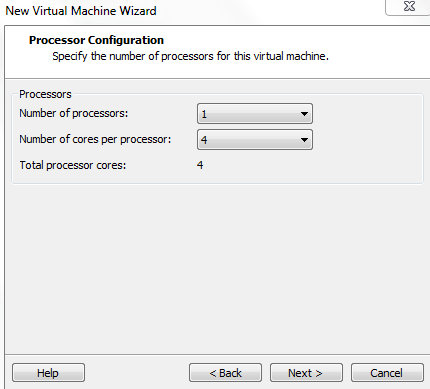 Select the number of processors and cores per processor. Click Next button. Allocate the amount of memory for the virtual machine and click Next. Choose the Network Type and click Next button. On specify disk capacity box, allocate the amount of disk space for this virtual machine. You might want to give it more than 80GB because you will be installing nested virtual machine in this VM. Click Next and view your configuration and click Finish button. Once again click edit virtual machine and check the Intel-VT option and click OK. I am using Windows Server 2008 R2 Enterprise version 6.1.7600 Build 7600. After installing the hotfix update, restart the virtual machine. After starting the machine open Server Manager and click Add Roles. Select Hyper V and click Next. You will need to restart the server in order to complete the installation. Now restart the server and finish the installation of Hyper V role. After finishing Hyper V installation and starting the server. Open Hyper V Manager console. Connect to the local server and click OK.
Now create a new virtual machine by click New on the actions pane on the right and selecting virtual machine. Type the name of the virtual machine and click Next button. Allocate the memory for this virtual machine and click Next button. Then configure the Networking parameters and click Next button. Now give the size for virtual disk. Here I will give 30GB. Click Next, Choose your option for the installation media. I will choose to boot from CD/DVD and select the physical drive. Now click Finish button. Now right click the virtual machine and click connect. Click the start button. You can now see the installation of Windows XP. You have successfully installed Hyper V server inside the VMware Workstation 9.